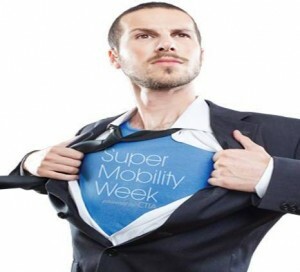 CTIA – the Cellular Telephone Industry Association – has rolled their former fall and spring conferences into one big event: SUPER MOBILITY WEEK, to be held at the Sands Convention Center in Las Vegas September 8-11, 2014. This all-in-one mobile techfest will bring together the North American mobile industry like never before: network infrastructure, phones, apps, payments, platforms, services… all things mobile will finally be on display at one giant conference instead of being divided between a network focus (former Spring show) and apps/data focus (former Fall show). This is a must-attend event if you’re engaged in the North American mobile market. You can register here. See you there!